Filed in Albums | Tags: Animal Collective, Domino Recording Co.
Whilst their first records were self-released or appeared on labels such as Catsup Plate or Paw Tracks, an imprint set up by Animal Collective as an offshoot of Carpark Records, landing a deal with Fat-Cat in 2004 seemingly coincided with their profile rapidly rising, not only with college radio networks but also with the European public. The move to Domino three years later and the delivery of Strawberry Jam seemed to propel them from indie darlings to on-the-verge-of-mainstream weirdoes almost overnight. Two years on, the surprisingly polished, electronic and iconic Merriweather Post Pavillion, and more particularly My Girls, probably the closest the band have come to have a mega hit on their hands, put the band (a trio for the occasion) in the position of selling records by the bucket loads and suddenly finding themselves the subject of a lot of attention from the mainstream music press. The four members of Animal Collective (Avey Tare, Panda Bear, Deakin and Geologist) haven’t however succumbed to the heady heights of superstardom and have continued to spread their work across platforms (they released ODDSAC, an experimental visual album, on which they spent four years working, at the start of 2010), have issued sporadic non-album EPs and singles, and, crucially, have continued to hone their individual careers and other projects. Whilst Merriweather Post Pavillion proved their most accessible record to date, its universal appeal hasn’t deterred Animal Collective from throwing caution to the wind and, with Deakin on board once again, they set out to record in their native Baltimore, leaving the sleek electronics of its predecessor behind and rushing head first into the widescreen kaleidoscope of sounds, effects, moods and lights that is Centipede Hz. Where Merriweather Post Pavillion could have almost passed for a stripped down and tidy record, this latest opus is everything but; songs come thick and fast, sounds are layered time and time and time again, melodies rush through without ever taking the time to breathe, and the whole thing generally feels like a psychedelic car chase at rush hour… in reverse. Album opener Moonjock, subjected to flurries of bubbling electronics, incongruous samples and field recordings and demented arpeggios, sets the tone, and the swirling maelstrom that is Today’s Supernatural only reinforces the impression of chaos that only Animal Collective seem to be able to get to work in any meaningful way. Like in many of the collective’s songs, at the core of this one is a ridiculously catchy melody which, like strawberry space dust, fizzes and wizzes until it’s all gone, as does Applesauce, Monkey Riches or Mercury Man later on. On Rosie Oh, Animal Collective appear to revisit Sgt. Pepper-era Beatles, adding lush distorted vocal harmonies and an unhealthy measure of psychedelic bling to it. Panda Bear leads the slightly melancholic New Town Burnout later on as he finds himself increasingly fighting against fast-melting keyboard stabs. Fittingly Pulleys opens with what sounds like noises recorded deep in the jungle of a tropical rainforest, but these soon make way for a hypnotic groove built around a fluid backdrop. Amanita brings things to a close in a surprisingly orderly fashion, at least at the start. Things descend into a noisy mess towards the end, before it is all wrapped up and sent packing way too soon. Animal Collective have made a habit of shifting their sound just enough so it remains entirely identifiable, yet seems refreshingly new and exciting. 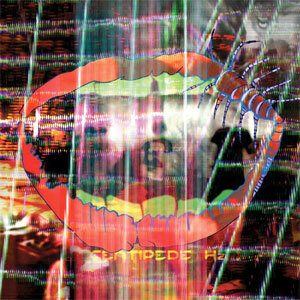 Centipede Hz is not by any means as immediate and universal as its predecessor, but Animal Collective don’t try to reproduce it in any way. Instead, they assemble sounds and songs in such a playful fashion that, given a few listens, Centipede Hz becomes so infectious that it is impossible to ignore. Animal Collective | Domino Recording Co.